The Nilfisk 530 Battery Scrubber is the right solution! 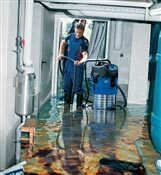 The Nilfisk 530 offers fast and efficient cleaning. Autonomy up to 2H30. Yield up to 2000 m2 / hour. SAV France Nilfisk. Ultra compact. Pro and domestic use even in small spaces. Carpet, parquet, tiles, pvc..Easy to put away and light, the cleaning becomes of an unequaled efficiency especially on dirty tile. A complete range for professional use! Cleaning equipment that standards, color codes ..? Cleaning in the workplace is now a profession in its own right. Standards-related constraints such as HACCP in the out-of-home environment, nosocomial transmission in hospitals, led manufacturers to propose tools adapted to a more rigorous methodology. We are no longer talking about "cleaning" but disinfection and mastering cleaning. In this context, we can offer cleaning protocols and cleaning equipment associated with the use of most products. The establishment of color codes in the different areas to be maintained has become the rule to create "barriers" of hygiene between these areas. Indeed, cleaning the toilet must imperatively be done with different cleaning tools in the kitchen area for example. The choice of cloths with these color codes is the solution. This color classification methodology avoids "cross-contamination" . That is to say avoiding a mop are used for times on sanitary and on high surfaces, for example, which would have the effect of bringing germs from one point to another. Since 1981, Voussert has been offering you a range of cleaning equipment that is unparalleled on the market in partnership with the leading French, European and World brands. The choice of qualitative partners such as Numatic, Unger, Vileda, Taski, 3M ... ensures the respect of the standards in terms of origin, manufacture, use and durability. To invest in a method of cleaning is to invest in the duration and in the reliability for a better service. 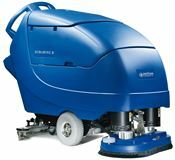 The After Sales Service is also a key point in the choice of cleaning equipment and therefore the brand. Our partnership with brands of equipment like Numatic, of which we are the authorized internet distributor in France, confirms the professionalism of Voussert and its mastery in this field. You will find the whole range of cleaning equipment such as scrubbers , single brushes , vacuum cleaners, pressure washer with our main partners Nilfisk Alto , Numatic and Taski. In cleaning, themes like household trolleys Voussert offers you an unparalleled range with many models on stock and deliverable immediately. The range of glass cleaning equipment and solar panel with Unger brand is on stock with more than 350 references in permanent stock. Floor cleaning with brands like 3M, Vileda or Spontex are also available. Of course the brushwork as basic cleaning tools with the cloths and microfibers are available. The restoration part is not forgotten with Seko cleaning plants . Visibility on stocks and availability allow you to be delivered in 24H express when the situation requires it. How to build my cleaning method and choose my equipment? The purchase of cleaning equipment must be done from the missions and surfaces to be treated, and not the other way around . Your equipment in cleaning equipment must therefore result from the analysis . 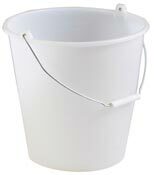 Thus the purchase of a cleaning trolley must correspond to a method that has been defined with the agents. Same thing about mechanization. Scrubber rather than monobrush, battery rather than cable, these choices must be guided by the requirements of the site. Our teams trained on these materials with the support of major brands, combined with an experience of more than 35 will allow us to offer you the right solution and fit a budget to the fair without ever affecting the quality of service or product.